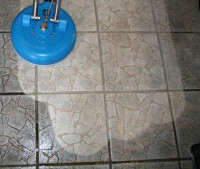 Have you discovered that your tile and grout is dirty and grimy? If so, then we urge you to give out team a call immediately so we can provide you with the services you need to ensure that your tile and grout looks as phenomenal as possible once again. One call is all it takes to our carpet cleaning team in Mar Vista, CA to ensure that your tile and grout looks as great as possible, so what are you waiting for? Make the call to Shanker Tile & Grout Cleaning today, and learn all about how we plan to ensure that your tile and grout looks at its best once again! What if you want to clean your tile and grout yourself? You can assuredly do this, but take it from us: it’s extremely time consuming, not to mention very difficult. You have to use the right combination of solutions, cleaners, and more on your tile and grout while mopping it and finishing the cleaning of the tile and grout with bleach to ensure that contaminants, bacteria, and more do not formulate on your tile and grout in the first place. What are you waiting for? Make the call to our team now, and allow our carpet cleaning experts in Mar Vista, CA to provide you with the help you need to ensure that your tile and grout is able to look at its best once again! Everyone deserves to have tile and grout that looks absolutely beautiful, which is why we are the premier choice for obtaining incredible cleaning solutions to your tile and grout woes. 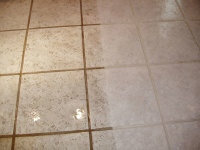 Save time, save money, and save headache by hiring out Shanker Tile & Grout Cleaning to rush to your location and clean your tile and grout for you as best as possible – without a doubt, we know that you are going to be pleased with what we can do for you, so call our team today and learn why so many people depend upon us when they need their tile and grout cleaned perfectly the very first time!